At Iver Village Junior School we are committed to providing all of our children every opportunity to achieve the highest of standards. We do this by taking account of pupil’s varied life experiences and needs. We offer a broad and balanced curriculum and have high expectations for all children. ​Our school aims to ensure that this happens for all of our pupils irrespective of attainment, disability, ethnicity, gender or background. 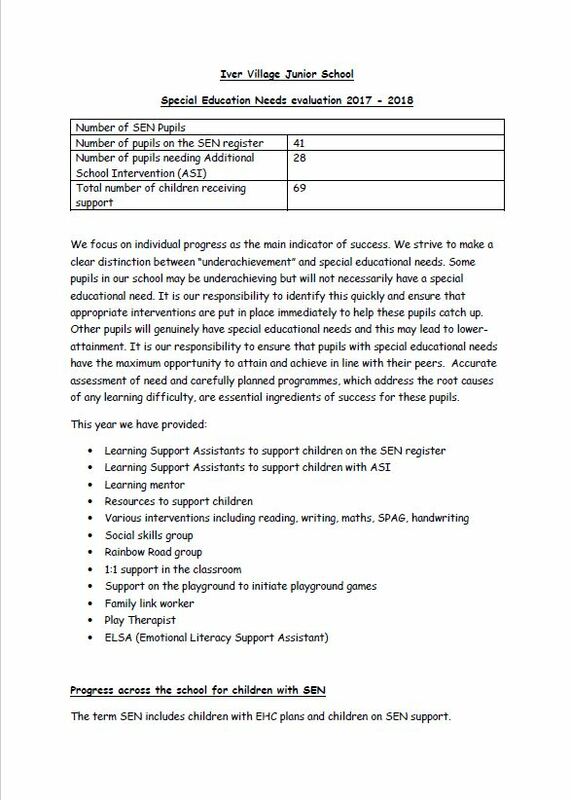 Please click the thumbnail for copies of our SEN annual report.